So for my last post, I was trying to take a picture of some eggs and accidentally cracked an egg. Uh oh. 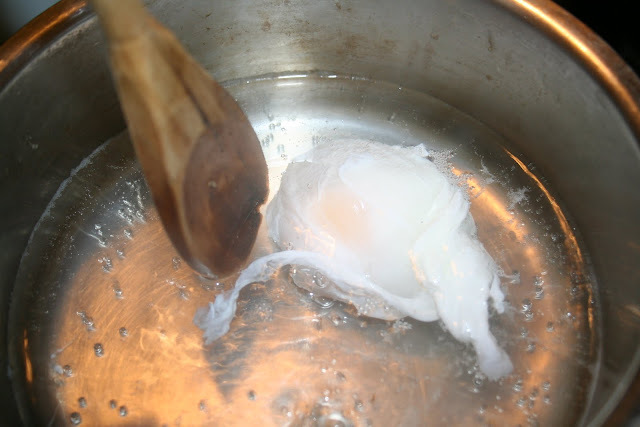 Well, when life hands you a cracked egg, you poach it! I took the opportunity to do my spin on one of my favorite dishes at Craigie on Main. If doing this for guests, prepare most everything ahead so that you can focus on the poached eggs. 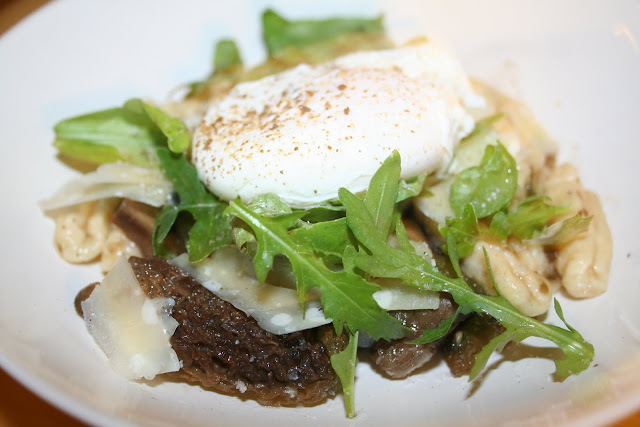 I usually make this for myself, so I only have to poach one egg. If you have an egg poacher gizmo, it will probably be a lot easier. A few words on mushrooms. I try to do local and in season with mushrooms, but splurged on the morels. I also had to extend my "local" reach out of New England and down to Pennsylvania for the portobellos and shitakes. If you're using reconstituted dried mushrooms like morels or chanterelles wait till the raw mushrooms are fully cooked before adding them. Also reserve the water you use to reconstitute them. Sure, it's a little stinky but it makes the most amazing broth. 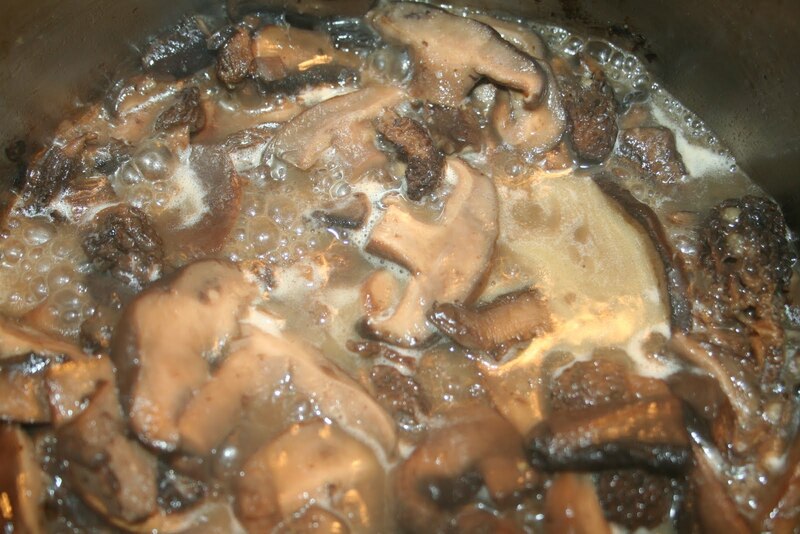 If you don't reconstitute any of your mushrooms just add a cup of water where the recipe calls for the mushroom juice and cook a little longer. In a large sauce pan, heat olive oil over medium high flame. Add sliced raw mushrooms. When the mushrooms are fully softened and browned on both sides, add the garlic and about a teaspoon of salt (less if you're not a fan of salt). Stir frequently to avoid burning the garlic. When the garlic is cooked through add any reconstituted shrooms, their juice, and the white wine. While you're doing this, cook the pasta. I had just made some ricotta cavatelli, so used that. I think gnocchi would also be a nice choice. Make sure to reserve about 2 C of the pasta water. Add the butter and a cup of the pasta water to the mushroom mix. The starch in the water will help make a bit of a gravy for the mushrooms. Now comes the fun part... poaching the eggs. Now that I know the vinegar trick, I really love poached eggs and have used them in other recipes. Add about a tablespoon of white vinegar to the poaching water. Bring the water to a full boil. 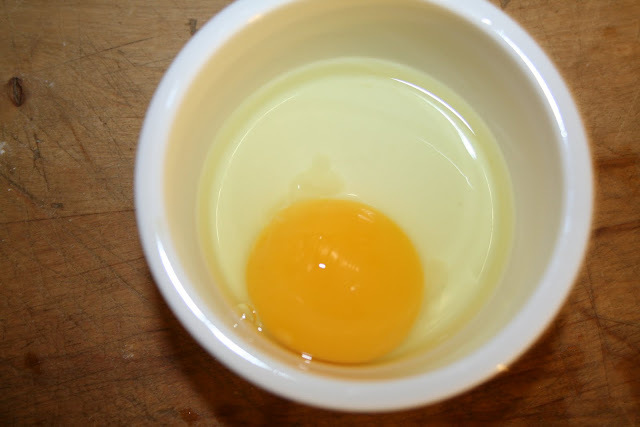 Crack the eggs into separate ramekins (or other small container) so that you can drop one in all at once. Have your spoon ready so that you can quickly coax the white of the egg back to the yolk. Repeat with the other eggs. Add the cooked pasta in with the mushrooms. Check that there's still a broth. Add a little more water if it has dried up. Spoon the mushroom and pasta mix into bowls. Sprinkle generously with cheese. Add a mix of arugula and basil on top. 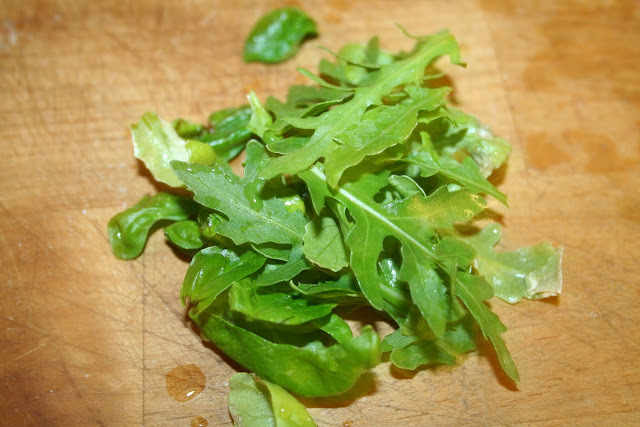 This meal was the only use I made of my winter garden of arugula. Growing salad greens in a window in winter is difficult. But this was so worth it. 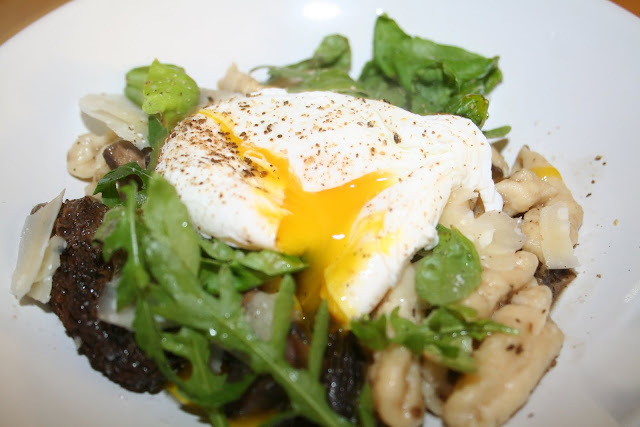 While I usually use thyme and rosemary with mushrooms, the spicy and tangy flavors of the arugula and basil really balanced the richness of the mushrooms and the yolk of the egg. You want the yolks to be pretty runny, so try to cook them for about 2 - 3 minutes max. Then scoop them out with a slotted spoon and put on top of the mound of mushrooms, cheese, and greens. Sprinkle with a little more salt and pepper and serve. To eat, pierce the egg and mix the yolk in with the sauce of the ragout. You will likely want to eat this with a spoon or at least have some bread on hand to sop up the rest of the sauce.